← Oh No! Not Lice! Yelling… A sign of Affection? Last night after all the kids were in bed my husband and I settled on the couch to watch our favorite sitcom, Modern Family. If you haven’t seen this show you are really missing out. Hands down the funniest show on television. Family sitcoms appeal to everyone because they are funny and you can connect with the characters and situations. They are also only 30 minutes long and since most of us have short attention spans that is about as long as we can take. 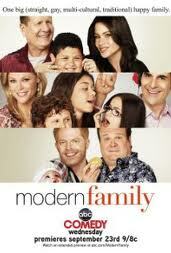 Modern Family is truly the greatest show on television about family and parenthood. They have taken the typical family sitcom and modernized it to perfection. 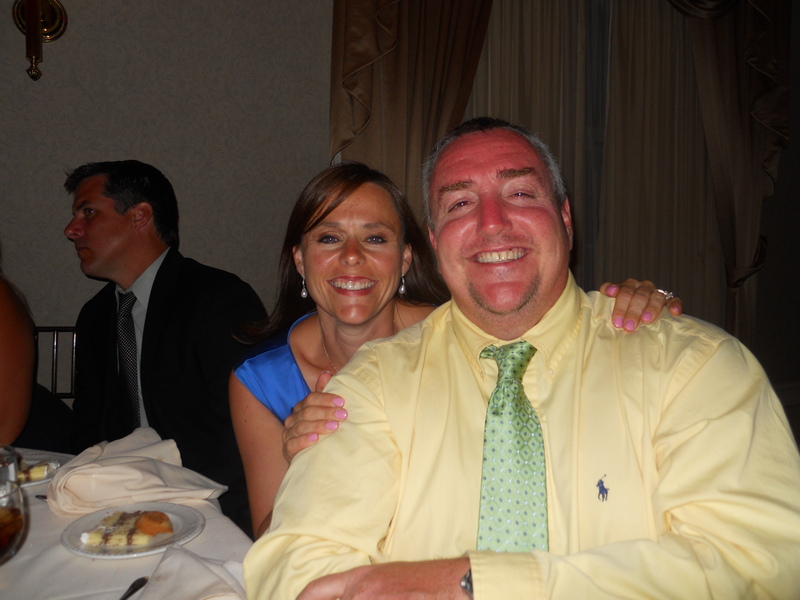 My husband and I thoroughly enjoy this time together every Wednesday night. It is one of the only times I can actually stay awake while sitting on the couch. I love the characters and the witty writing. My husband, although he might appreciate those things as much as I do, admits freely his favorite part of the show is Sophia Vergara. It’s alright with me, I mean come on she is stunning… and really funny to boot. On last night’s episode Egg Drop Gloria (Sophia) explains her philosophy on family. You know you are loved by your family if they can yell and scream at you. An interesting take on family and relationships. I have to admit I kind of agree with her. I don’t think we have to scream and yell at each other all the time to show we love one another. Sometimes a hug works just as well. Also, it probably isn’t too healthy and the kids will grow up needing many hours of therapy. But it there is a point not to be missed here. You wouldn’t get upset with each other if you didn’t love one another so much. Also, it is healthy to express our emotions instead of keeping them bottled up inside. You can’t pretend everything is always okay and you shouldn’t. It is not a healthy way to live and not a good message to send to our kids. This is a lesson I might want to remember in the future. My husband and I have weekly battles about the amount of time I spend out of the house at night during the week. I have girl scout meetings, girl scout leader meetings, PTA, PTA Board meetings, school board meetings, committee meetings, and on and on… He gets so upset with me when I am constantly out of the house. He fails to understand why I need to be on every committee and sign up for everything. I of course become completely defensive because after all I am doing it for our children. This battle is a pretty regular occurrence at my house. He gets upset and I play the Martyr. Chalk this up to another lesson I learned while watching tv! My husband and I in between battles. This entry was posted in Life, Television and tagged Egg Drop, family sitcom, funniest show on television, healthy emotions, Modern Family, parenthood, parenting, short attention spans, showing emotion, sitcoms, Sophia Vergara, television family, typical family, yelling. Bookmark the permalink. 3 Responses to Yelling… A sign of Affection? very cute and very true!